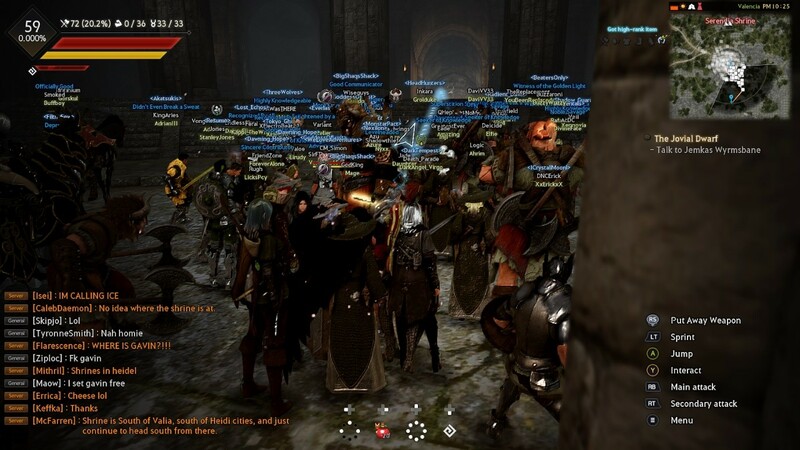 First of all, we want to say a HUGE thank you to everyone who participated in the Black Desert beta weekend! We had an amazing time getting to play the game with you all, and finally showing you the fruits of our years-long labor. We’ve put so much blood, sweat and tears into the game, and for you guys to have enjoyed it as much as you have really brought a tear to our eyes. Right now, we still don’t have a release date for you guys, but we’re working hard on making sure that information is released soon! There are so many things that we can improve on, and with your guidance, we can finally get to applying the final levels of polish in a way that benefits our players. We received an almost overwhelming amount of feedback, but we managed to go through nearly all of it and generate reports which were delivered to the developers. They’re currently going through the reports and are going to be working on getting your suggestions into the game. Unfortunately, not everything will make it to the launch, but we’ll continue to improve the game over time. The beta went pretty much without a hitch. We experienced 0 server outages which is honestly quite amazing. The few bugs that were present will be addressed. We also learned a lot about the Xbox system. We did slip up a little bit with the update which required the whole game to be downloaded again, but now that we understand the why, we can work on the solutions. The events were a great experience for the game/community management teams. The card collecting event hit all of its targets, the community events like the cart racing and milking were also fun things that we can run again with more improvements. On the topic of the community, you guys were fantastic. I have played games for over 25 years, and you guys had to have been one of the friendliest and most vibrant communities I have ever seen. You were always there to give advice to newer players who couldn’t beat Red Nose, always there to lend your support, and when we helped one of you, we saw that help slowly resonate out to more and more people. Of course, it wasn’t always sunshine and rainbows. The Kzarka event was insanely fun, but it was used as a stress test to intentionally stress the servers and give us the information that we needed to make things better for the future. We know there were frame drops, the rubber banding was rough and although the boss went down, not everyone had a great time. It’s understandable, as there were a LOT of people there. This doesn’t even show the horde of people waiting within the shrine. To make it up to everyone, we then spawned the Lord of Corruption on every server, and a much better time was had by everyone. We wanted to give Adventurers the opportunity to take on Kzarka as well as do the necessary tests that we had planned for the beta. Now we know how to better accommodate the users for future reference when the game launches. Thank you for understanding the whole process and giving us the opportunity to make things better. So, let’s talk about the things that we’re changing. This isn’t the whole list, there are many other suggestions that are being considered, but we wanted to show you some of the key things that are being worked on thanks to your feedback. Display Options/Brightness: The brightness was way too high during beta, so we’re toning it down. We’ve also made it so that you can toggle motion blur on/off. Tutorial Improvements: Although this may not be finished for the launch, we’re working on improving the tutorials to help ease people into the game. Skill Lock: One of the things that was requested by some of the more experienced Black Desert players is the ability to Skill Lock. Skill lock is the ability to disable a skill that you do not want to use. We’re trying to get this in for launch, but it may come slightly after. Selling Items: Selling items will be improved as we’re moving the Sell All button from the bottom of the quantity window to the top. Photo Mode: When you work so hard on making your characters, you want to take some pretty screenshots. The Photo Mode is being worked on as we want you to take some pretty images of your life in the Black Desert world. Control Scheme: We’re working on getting customizable controls to you guys, but we’re not sure when the feature will be ready. UI: We’re going to be making a few changes to the UI. The key guide that sat on the bottom right of the screen is being removed, the quest list will now show subquests, and we’re going to be adding an option to turn off the chat. This will give you more options to customize the UI to your liking. With all these improvements in the works, we hope that when the game launches, we’ll have a nicely polished game for everyone to enjoy. Again, we’d like to say thank you for everyone who joined us in the beta and we hope to see everyone in the game soon.